A collection of cult films by experimental filmmaker Kenneth Anger. Includes: FIREWORKS (1947), PUCE MOMENT (1949), RABBIT'S MOON (1950), EAUX D'ARTIFICE (1953), THE INAUGURATION OF THE PLEASURE DOME (1954), SCORPIO RISING (1963), KUSTOM KAR KOMMANDOS (19A collection of cult films by experimental filmmaker Kenneth Anger. 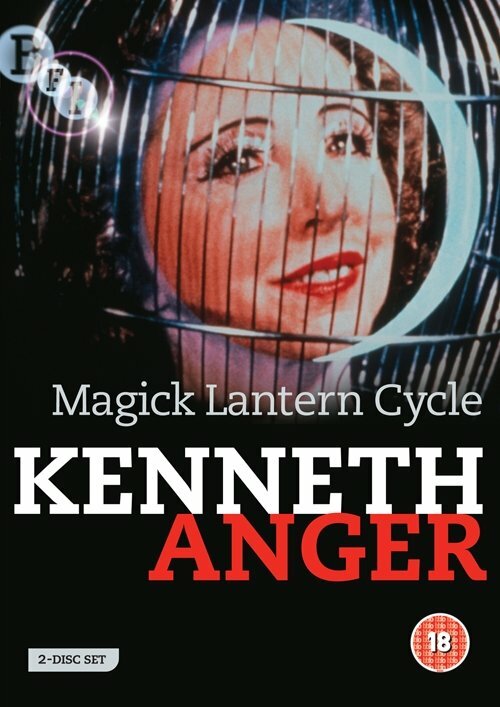 The Magick Lantern Cycle, released in a 2-disc set, contains the following films: Fireworks (1947); Puce Moment (1949); Rabbit's Moon (1950/1971, the rarely seen 16 mins version); Eaux d'Artifice (1953); Inauguration of the Pleasure Dome (1954); Scorpio Rising (1964); Kustom Kar Kommandos (1965); Invocation of My Demon Brother (1969); Rabbit's Moon (1979); Lucifer Rising (1981). The content is spread across a DVD9 + DVD5 on DVD and a BD50 + DVD5 on Blu-ray.